Heather is a Beaumont Legal veteran. She’s been with us for the past 12 years and climbed the ladder from quote consultant to expert in business development. We’re also lucky to have her as a key pillar in our senior management team. For eight years, her role in the company involved speaking to thousands of first time buyers about our service and assisting them with the (often complex!) home buying process. Here, she gives us insight into the questions she often encounters from people buying their first home. Heather Little: We’re experienced in dealing with Help to Buy Schemes as part of our Conveyancing Service – we will guide you through the legal paperwork involved if you’re using one or more of these schemes to purchase your home. HL: The conveyancer is responsible for legally transferring the property from one person (or a group of people) to another. We carry out all the relevant searches (such as Local Authority and Environmental Searches) so that you know everything about the property and land that you’re buying. We’re also responsible for checking the contract and will raise questions about the title, fixtures and fittings, boundaries and any other information we need. If you require a mortgage to purchase your home, your lender will require us to also act on their behalf and we’ll check that all conditions have been satisfied. We also take care of collecting your deposit and transferring this along with the mortgage funds to the seller’s solicitor on the day of completion. We take care of registering your property and arranging payment of any Stamp Duty post completion. HL: Stamp Duty is a tax payable if you buy a property or land over a certain price in England and Northern Ireland. (If purchasing a property in Wales, please refer to this calculator for different rates payable). 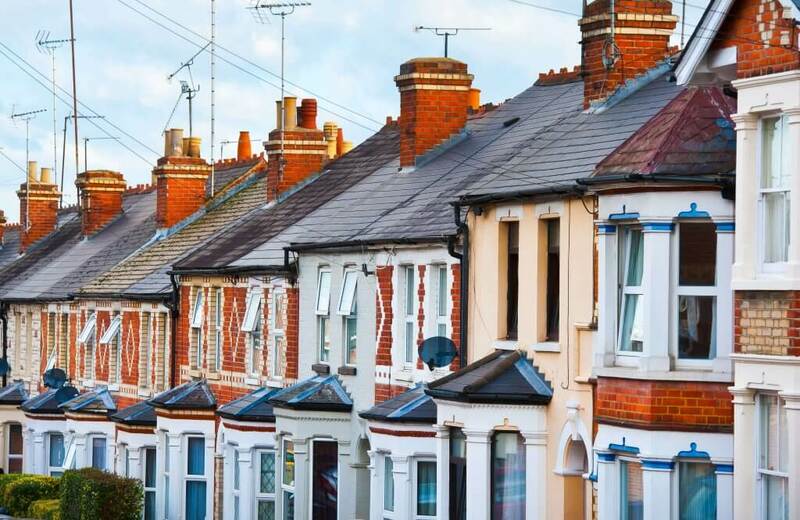 For properties in England, how much you pay depends on the price of the property, whether you’re a first-time buyer and whether it is a second/buy-to-let property or not. For rates if you’re buying you’re first home, click here. As part of our Conveyancing Service, we collect any Stamp Duty payable and ensure the relevant paperwork is completed and submitted to the government within 30 days of completion, so you don’t have to worry about this. HL: You need to have arranged the building’s insurance to be able to exchange. In the eyes of the law, you’re responsible for the building as soon as you’ve exchanged contracts. Once arranged, we need to see evidence of this being put in place. If you’re purchasing a flat or apartment, it’s likely that the freeholder/landlord/managing agent is responsible for insuring the whole property. Typically, they’ll then charge a proportion of this cost to each leaseholder (apartment owner). We’ll check the insurance is in place and the costs you’ll be expected to pay when raising our leasehold enquiries. The cost may be part of a larger monthly payment covering ground rent, service charges etc. HL: If you’re renting, check how much notice you’ll need to give to your landlord. We’d never advise you to give notice until you have exchanged contracts and the deal is legally binding, as you risk being without a home if the purchase falls through. You will need to speak to your conveyancer in advance of exchanging contracts so that the notice periods are considered when arranging the date for completion. HL: Yes! For most people, a home is their largest asset. Having a will enables you to dictate who this is passed to if you pass away and reduces stress and uncertainly for families and loved ones at an already difficult time. HL: You need to think carefully about your individual circumstances and how you wish to own the property and what that means if you part ways or the worst happens. If you plan to co-own a property, your conveyancer will ask you whether you want to own the property as ‘Joint Tenants’ or ‘Tenants in Common’. Joint Tenants own a property equally in ‘undivided shares’ i.e. you both own all of the property together. If one person dies, the ownership automatically passes to the other person. Ownership of the property cannot be passed on in a will, and if someone tries to leave a share in the property in their will, this won’t take effect. Unlike Joint Tenants, Tenants in Common can divide their ownership in the property however they choose. If one person dies, their share of the property is transferred according to their Will, or under the Intestacy Rules if there is no Will. If one person is contributing more to the deposit than the other, you can consider unequal shares and vary how the proceeds are split. HL: This is by far the most frequently asked question! Understandably, you want to know when to arrange removals, when to hand your notice in to your landlord and when to have that sofa delivered. Timescales are dependent on the type of property you’re buying and the other parties involved, such as the seller, the developer and your mortgage lender. If you’re purchasing a new-build, it’s likely you’ll be required to exchange contracts within 28 days – with completion taking place once the property is fully built. The average timeframe for a buyer with a mortgage is around 12 weeks from start to finish but most Conveyancers will aim for 8 weeks, providing everything goes smoothly. If you’re purchasing a flat – expect to wait a little longer due to the extra work involved. HL: Understanding when you will be expected to pay can really help you get your finances in order. Once your offer has been accepted, you’ll need to instruct your conveyancer and will be required to make an initial payment of around £300 to cover the cost of outgoing expenses such as searches. The next payment will be requested before exchange of contracts and this is when the house deposit is required; this is normally a minimum of 10% of the total purchase price. This will allow exchange to take place so that contracts are legally binding. Before completion, you will receive a Completion Statement from your conveyancer showing the final amount due from you and this will include the remaining balance for the property, plus the outstanding legal fees and costs such as registration and stamp duty fees. If completion is due to happen shortly after exchange, your conveyancer may request the full balance at that point to ensure there is no last-minute delays on the day of completion. On the day of completion, your conveyancer will have already requested the funds from your Mortgage Lender and will transfer the full amount including your deposit across to the seller’s solicitor. Once they have received the money, keys will be released by the agent and you will officially be the owner of a new home! Need help with buying your first home?